The philosophies of starting infant cereal are about as varied as the brands of baby food available. It can be confusing to know where, when, and how to begin. Starting solids doesn't have to be difficult. 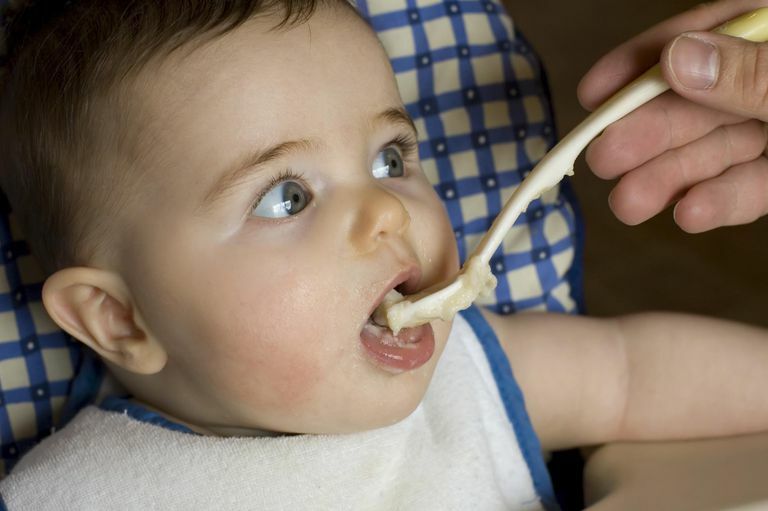 You just need to know a few basic facts, and your baby will soon be exploring the world of solid foods. Infant cereal certainly is the traditional choice of first food. However, the American Academy of Pediatrics (AAP) acknowledges that for typically healthy babies there is no medical evidence stating that starting with infant cereal yields greater health benefits over starting other common first foods. They go on to recommend that infants begin solids around 6 months of age, though the primary source of nutrition at that age should still be from breastmilk or infant formula. Infant cereal is bland in flavor and picks up the taste of the formula or breast milk that it is mixed with. Therefore, some feel it will be more palatable to the baby. Around 6 months of age babies typically tend to use up all their iron stores and need iron in the diet. Since most cereals are iron-fortified, this is one way to address that nutritional need. It is believed that single grain cereal, particularly rice cereal, has a lower risk for allergic reaction than other solid foods and mixed grain cereals. That being said, there are other options for first foods. A conversation with your pediatrician may help you to decide the best starting point for your baby. A key aspect in choosing which foods your baby should start on and when you should begin is your baby's unique health history. Preparing infant cereals are pretty simple. Just mix it with formula or breastmilk to the desired consistency. Most pediatricians suggest beginning with a thin, watery texture. As your baby gets used to solids you can make it thicker. Something interesting to note, if you opt to mix cereal with breastmilk you might notice that as it sits, it becomes thinner. That's because breastmilk contains an enzyme that digests carbohydrates. You may have heard the suggestion to feed your baby a bottle of formula or breastmilk mixed with infant cereal. For healthy babies, this is actually an unwise and unsafe choice. For babies with no health problems, the risks far outweigh any potential benefits. It's best if your baby begins solids by eating off a spoon and not drinking them out of a bottle. Starting Solid Foods. Copyright © 2008 American Academy of Pediatrics. Promoting Healthy Nutrition The Bright Futures Guidelines, Third Edition. American Academy of Pediatrics.